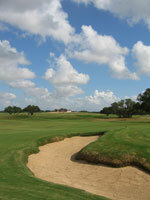 "It is not the individually great holes that make a great golf course. 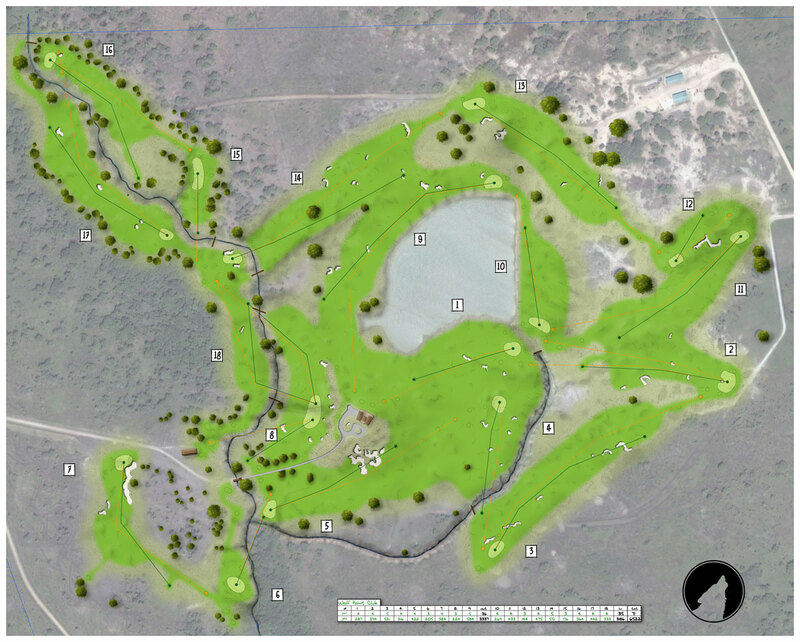 It is rather the relationship that exists between one hole and another..."
NCD has been contracted to design an 18 hole private golf course. 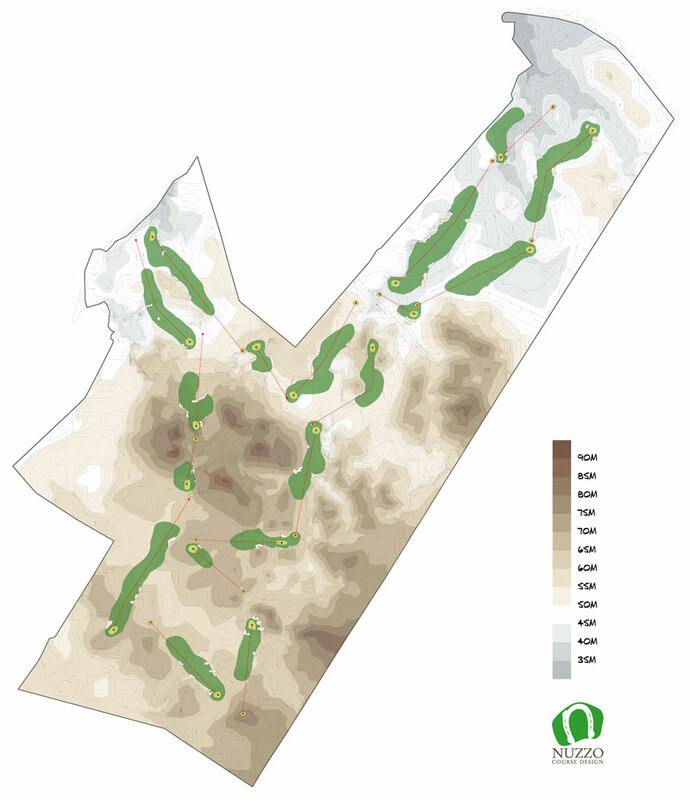 The routing takes the golfer on a journey that takes great advantage of the Gulf Coasts significant winds. Unique holes, varying directions and hole lengths are highlights that can be viewed in detail by clicking the adjacent image. 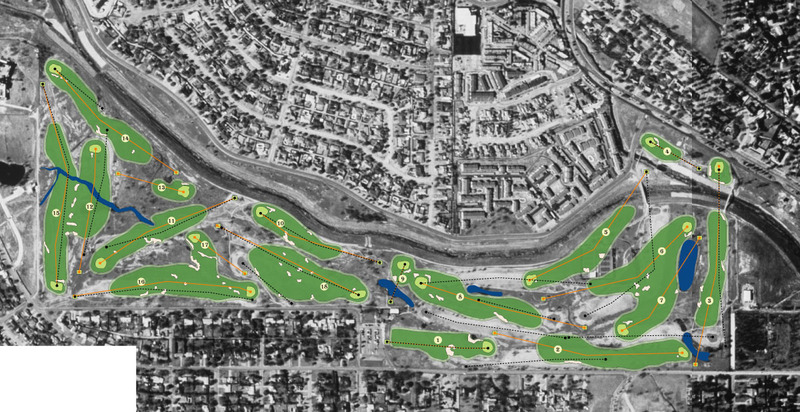 NCD was hired to route a core public golf course on a stunning site with dozens of natural land forms to integrate into the course. 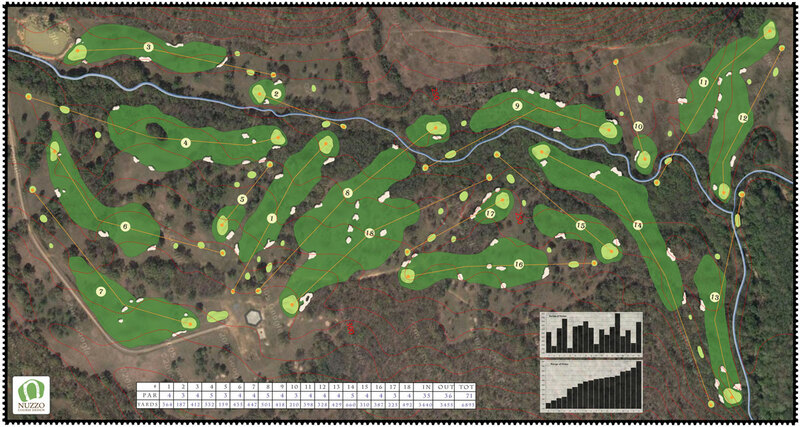 The property in the north eastern quadrant is most stunning, and will allow for an outstanding sequence of holes. The project has passed several hurdles and is getting closer to construction. 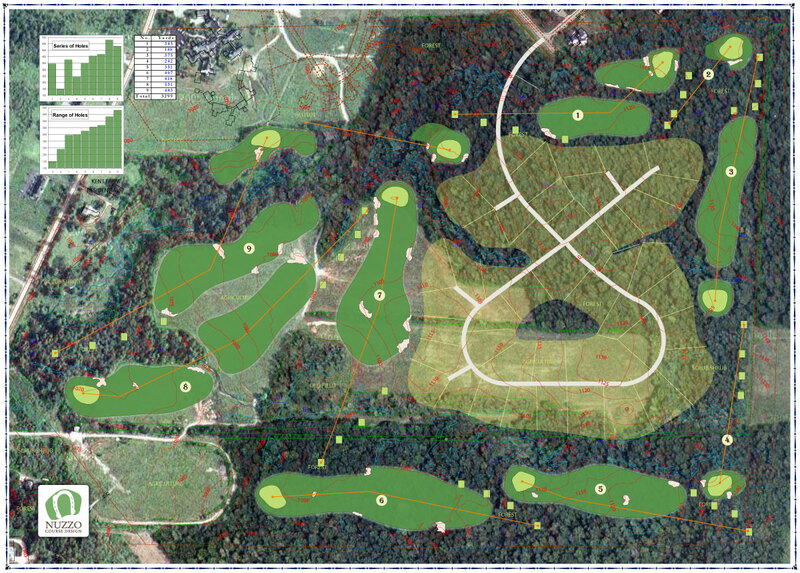 Currently in planning to redesign a Joe Finger designed 40 year old municipal course. The principal feature, a bayou, passes by the course without much impact. The hole corridors will change and each will be significantly improved. The bayou will be utilized much more strategically. The black dotted lines on the image at right are the existing holes. Click to view an enlarged illustration. A prospective client was looking at a parcel of land with a team of investors. He sent photos of the site along with a topographic map. The preliminary routing at right was created to determine how cross the ravine. The photos can be seen in the site selection section. Click to view the illustration. 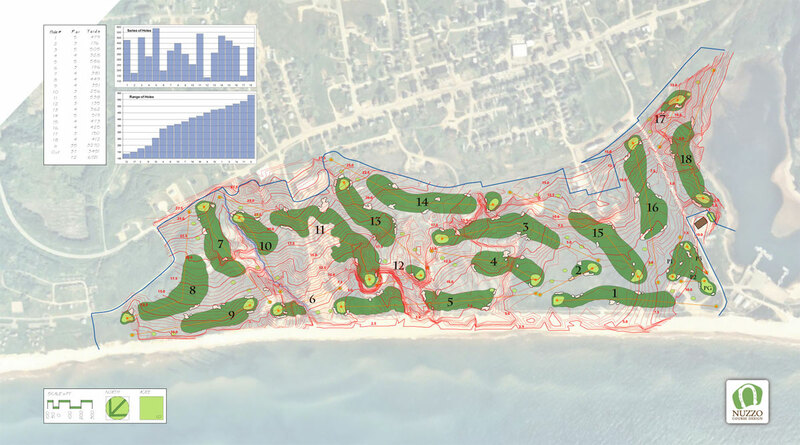 The early planning stages of designing a resort golf course in costal climate. The property is situated along a very large natural lake and has magnificent vistas. This would be my first project outside of the United States. I performed this preliminary routing to have a better understanding of the property. View the routing at right in detail by clicking the thumbnail image. 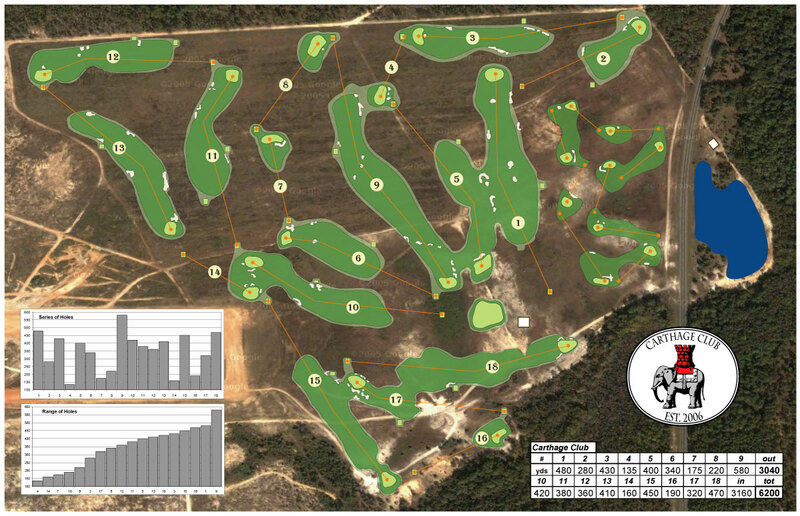 Baxter Spann was asked to route a development course on 750 acres. 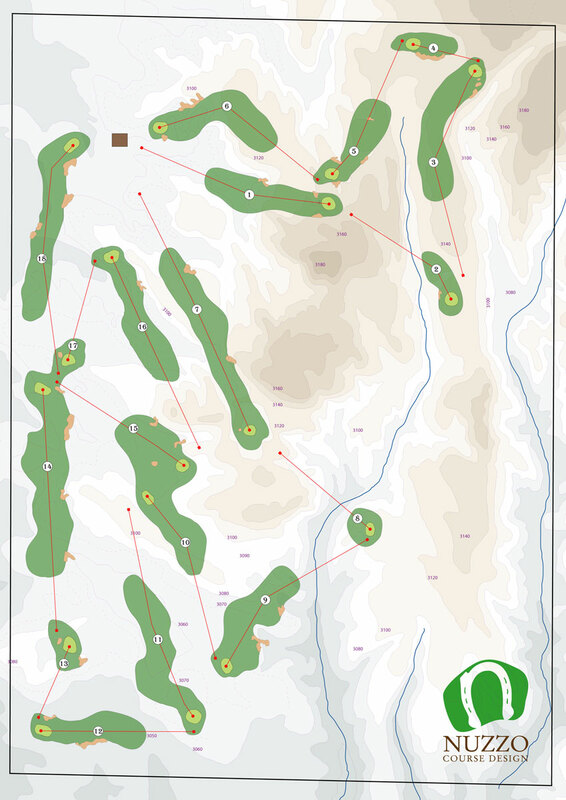 To support the project, I created a core golf plan as an alternative. Alas, the maximized lot premium plan was chosen. Note constant variation of hole par throughout the round and the distributed hole lengths by clicking the image to the right. 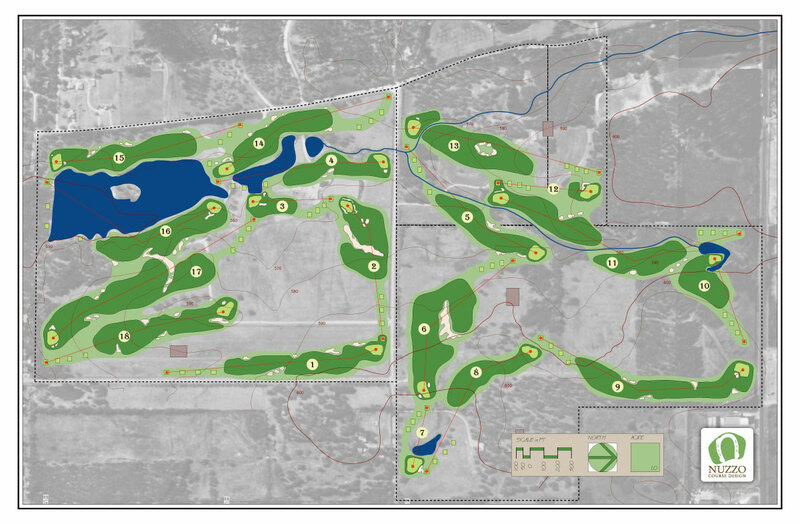 With 160 acres left to develop on site, Walden is considering adding a final nine holes that would cater to the golf purist. The site has abundant wetlands which has produced some very challenging holes. 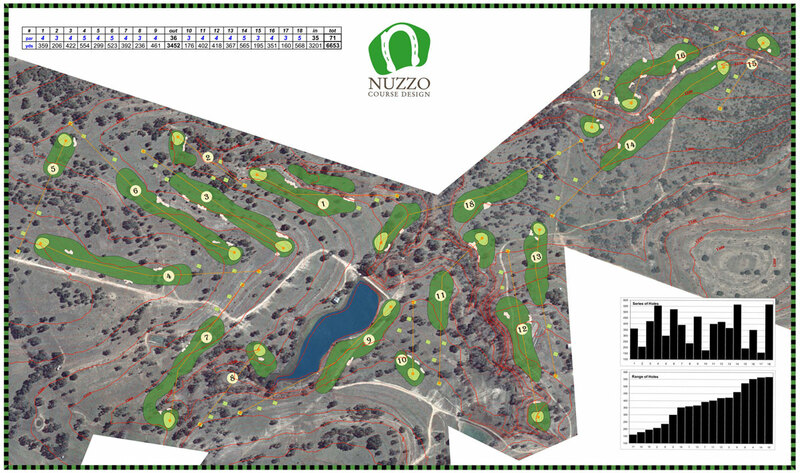 There is a 10th hole par 3 for disputes, and plans for an extensive practice facility in the south-west corner. With a mansion and several extravagant guest homes on the 250 acre property, the best use of the land may be an upscale resort hotel and an ultra exclusive golf club. The features are bold, and the golf strategic. The enchanting routing to the right can be viewed in detail by clicking the image. 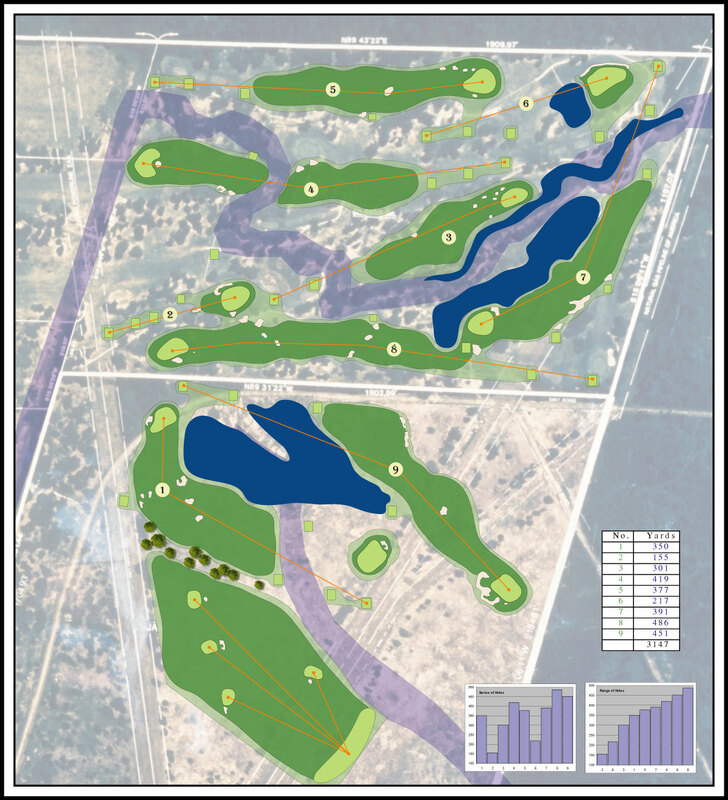 In order to minimize construction expenses if the land is approprite, you can keep the clearing budget minimized, and play the golf through natural tree coridors, there by keeping the trees natural looking, and minimizing costs. The routing pictured at right keeps many of the natural coridors in tact. 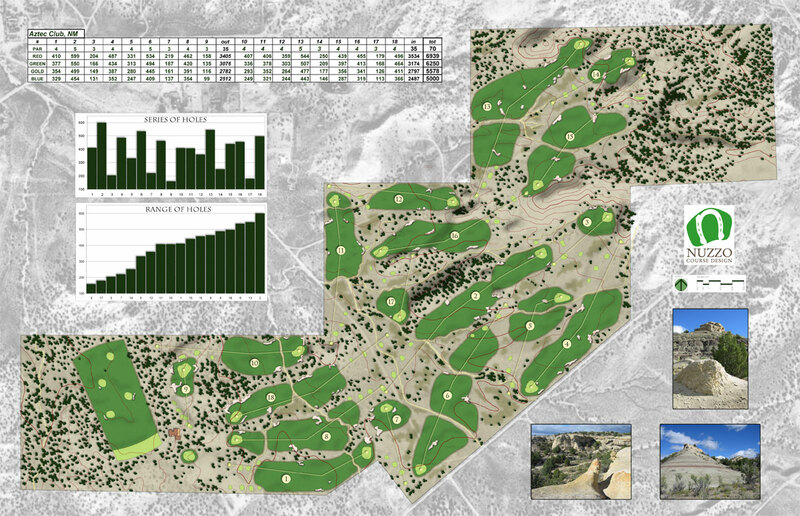 Baxter Spann was asked to present three renovation ideas for an existing course and I was tasked with creating an ideal golf layout. Taking advantage of three unused triangular areas created the routing at right. The black dotted lines are the old hole corridors. Ran Morrissett envisioned a simpler version of golf for his club when he moved from Australia to the Sand Hills of North Carolina. His profile of what to expect, Golf Club Atlas course profile, and requirements were quite specific. The routing to the right met his exacting ideals. A developer was describing a site he was working on by telling me of the three earlier routings that had been completed by very notable architects. Without seeing their solutions, I asked for the same materials to compare what I would come up with when compared to some of the best. My solution is at right.